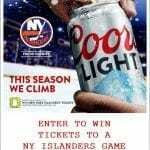 Enter Coors Light’s contest for a Chance to Win Tickets to a New York Islanders game. See your local King Kullen for details on how to enter. Contest ends 12/13/18. 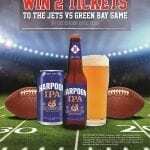 Enter Harpoon Brewery‘s contest for a Chance to Win 2 Tickets to the NY Jets vs Green Bay Packers Game on December 23rd, 2018. Visit your local King Kullen for details on how to enter. Contest ends 12/17/18. Enter Sparkling Ice contest for a Chance to Win Tickets to a New York Islanders vs. New York Rangers game at Barclays Center in January 2019. See your local King Kullen for details on how to enter. Contest ends 11/22/18. 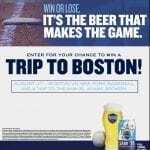 Enter Samuel Adams‘ contest for a Chance to Win Trip to Boston, including a Boston vs New York Baseball Game and a Trip to the Samuel Adams Brewery. See your local King Kullen for details on how to enter. Contest ends 7/14/18. 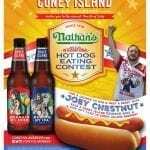 Enter Coney Island Brewing Company’s contest for a Chance to Win a Meet and Greet with Joey Chestnut plus a Coney Island Cruiser Bike and a $100 Gift Card to Coney Island Brewery. See your local King Kullen for details on how to enter. Contest ends 6/24/18. 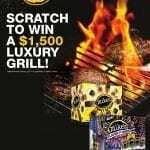 Enter Mike’s Hard Lemonade‘s contest for a Chance to Win a $1,500 Luxury Grill. See your local King Kullen for details on how to enter. Contest ends 6/16/18. Enter Brooklyn Brewery‘s contest for a Chance to Win a $500 Gift Card See your local King Kullen for details on how to enter. Contest ends 6/15/18. 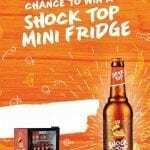 Enter Shock Top‘s contest for a Chance to Win a a Mini Fridge. See your local King Kullen for details on how to enter. Contest ends 4/26/18. 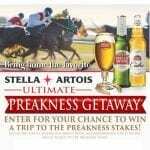 Enter Stella Artois‘ contest for a Chance to Win a Trip to the Preakness Stakes. This prize includes round trip for two (2) double occupancy hotel accommodations for two nights and two (2) tickets to the Preakness Stakes. See your local King Kullen for details on how to enter. Contest ends 3/29/18.